Disclosure: I received a complimentary overnight stay and admission to CoCo Key Boston to facilitate this review; all opinions expressed are my own. This time last year it was still pretty cold here in New Hampshire, and we still had snow - crazy, right? Thankfully, today it's in the 60s - I almost thought it was indeed an April Fools joke! 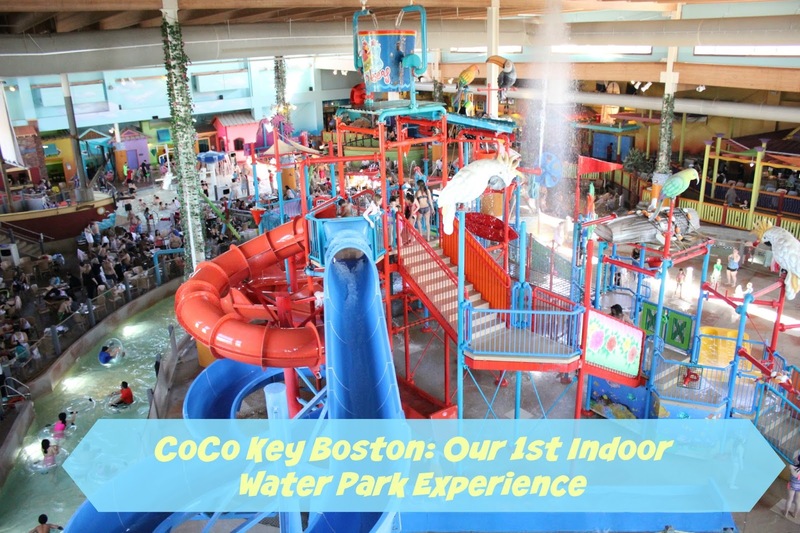 The warmer temperatures are making me think of spring break and with it coming up for families here in the northeast a trip to CoCo Key Boston makes the perfect local getaway. 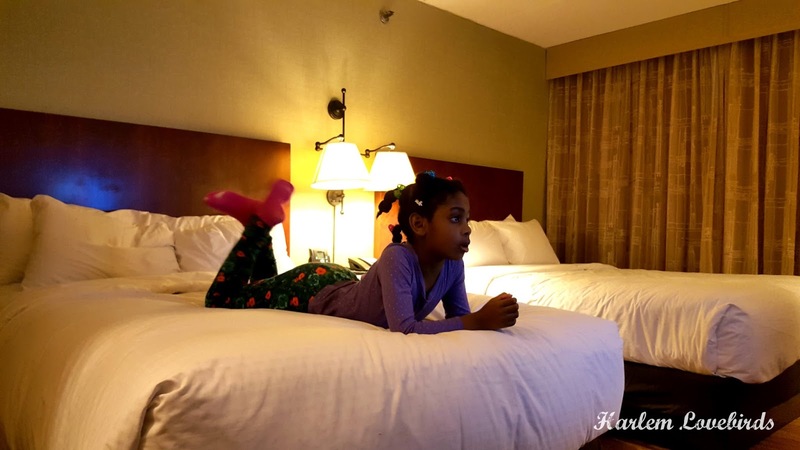 If you follow me on Instagram you saw a few pictures from our recent overnight stay there. 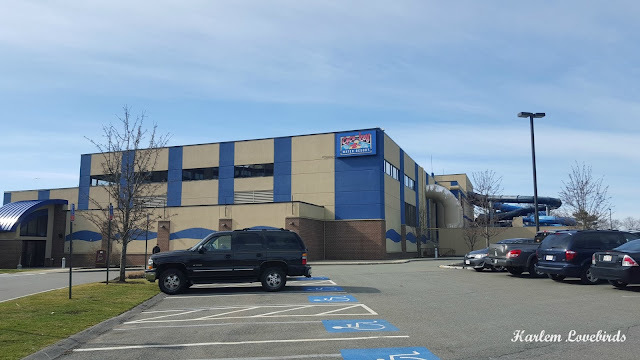 We had never been to an indoor water park before, and I was thrilled to see CoCo Key was just over 30 minutes away from us in Danvers, MA - it was just far enough to feel like we were going away, but we had the comfort of knowing we wouldn't have to deal with long hours on the road or an airplane. 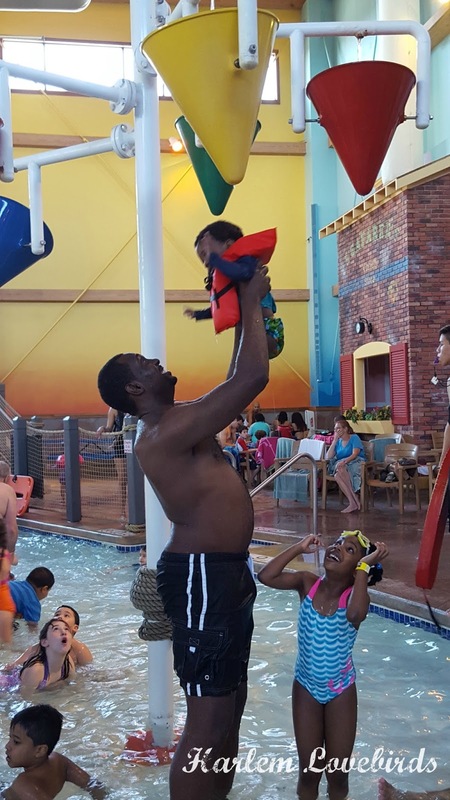 The kids have been in swimming lessons for over a year so this was the perfect opportunity to have a more playful experience in the water, and I felt confident taking them knowing they're comfortable in the water. CoCo Key Boston North Shore and the DoubleTree hotel are all part of the same complex and using GPS when we approached the property we noticed there wasn't clear "CoCo Key" signage, and we actually made a wrong turn but quickly figured it out! Make sure you drive slowly so you don't miss your turn. 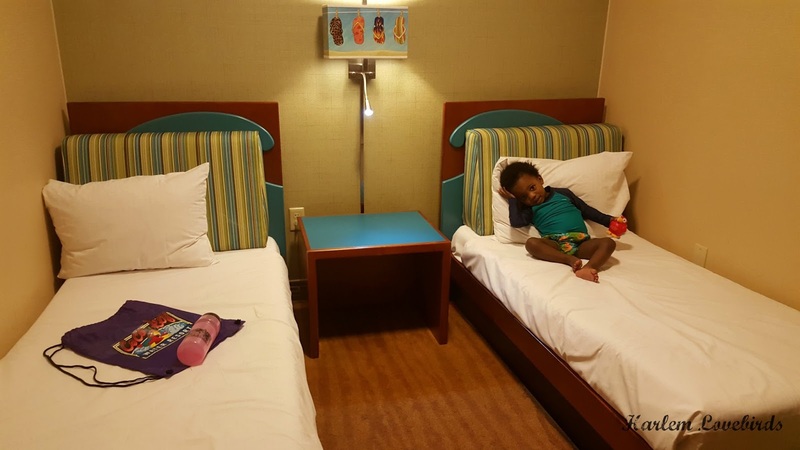 We were given an early check-in on a Saturday and arriving just before noon, the kids had already eaten a big, late brunch so we headed to the hotel suite to explore the room a bit before heading to the water park. 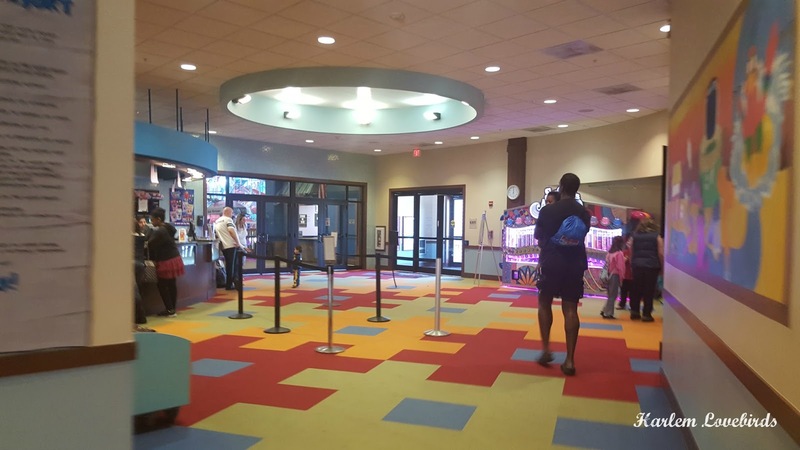 Check-in was very easy with the friendly staff and the kids were excited for their goodie bags they received as a special surprise. 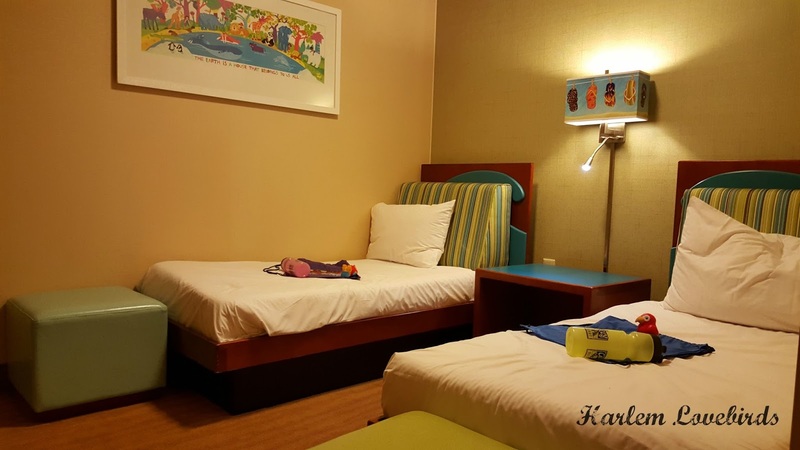 For our stay we booked a family suite with two toddler beds. Grayson hadn't slept in a toddler bed before so I was a bit nervous about what to expect (more on that later!). The kids' area was immediate upon entering the suite and they were excited to see little beds just for them! I liked how the theme was aquatic and gender neutral. They even had their own TV and dresser in their area. We opted for two full sized beds vs. a king since we didn't know if the kids would end up wanting to sleep with one of us. While that didn't happen, what was really adorable was in the middle of the night Nia woke up and saw that Grayson was on the edge of his bed, picked him up while he was still asleep, and brought him to her bed positioning him by the wall so he wouldn't roll out. She relayed this to me in the morning when I went to wake them up after finding them both in her bed. So sweet! We also had a refrigerator and safe and a TV and desk on the adult side of the suite. The bathroom had a single sink and plenty of towels and toiletries for us but was missing hooks to hang all of our towels and wet things. We made do using the closet hangers with the clips instead. From the outside CoCo Key is massive! 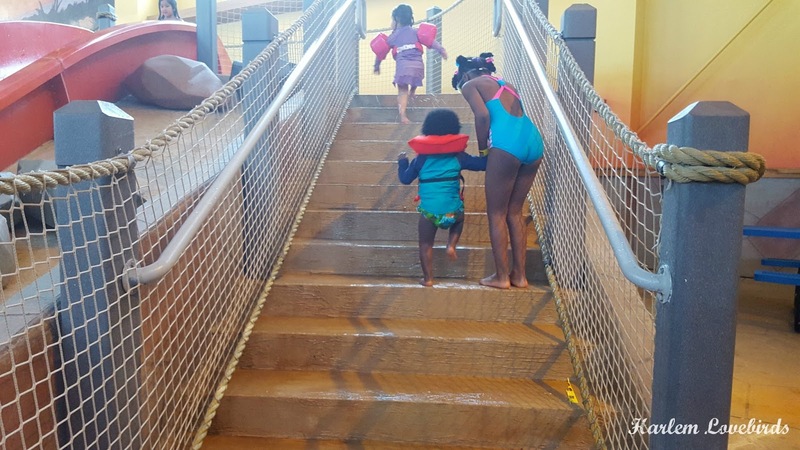 We were dressed and ready to quickly hit the water and I was surprised it was a short 3 minute walk to get from our room to the water park with plenty of signage letting us know we were approaching it. There's a check in area and since we had our wrist bands we went right in, rented a locker and started our day. The first thing I noticed is the water temperature - I'm always cold and was nervous that the water would be a bit chilly even though it's indoors. When I dipped my toes cautiously in the water Puerto Rico came to mind. Seriously! It was that warm. He pretty much just wanted to do this the whole time! Once I was confident about the water temperature I did a quick survey of the area. I'm a Type A, Mama Bear and noticed that there were plenty of staff throughout the water park and especially in the smaller pool area where little kids play. It's on a gradient which felt safe for Grayson and the staff did constant sweeps around the slides making sure no one had fallen beneath. I also like how they made sure bigger kids weren't overrunning the area especially the slides. I've seen that happen at outdoor pools and it becomes a serious safety issue. 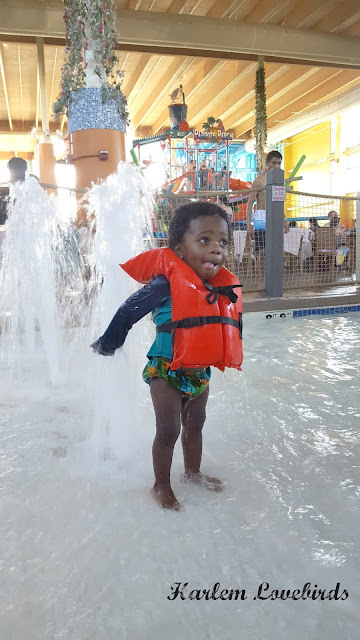 There were also plenty of life jackets on hand for the little ones and we kept Grayson in his while he waded in the pool. Uka and I took turns handing off the kids so we could run around the different areas - I like how the sections offered something for all ages including the lazy river if you needed to take a little break. 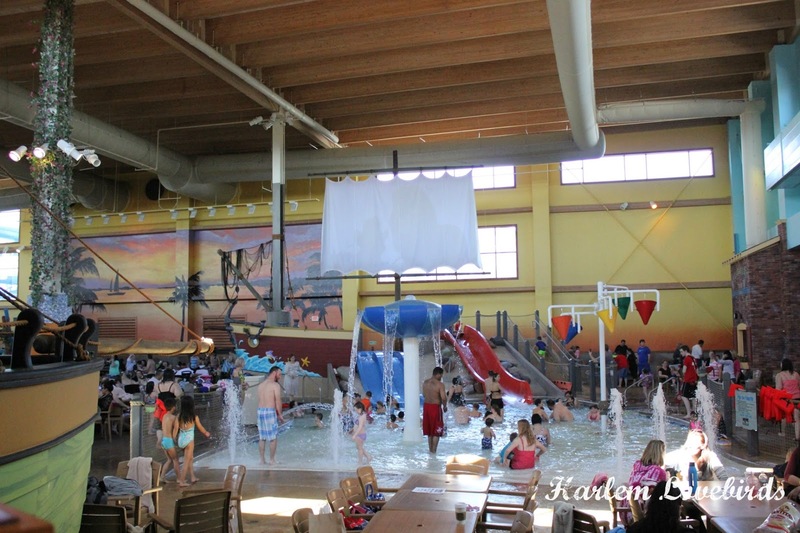 Grayson especially liked the big bucket falling on his head, and Nia enjoyed the water slides with Uka. She and I went down one together, and I'm proud to share we didn't tip over at all! Beware the big bucket - I had a love/hate relationship with that thing! From a cleanliness perspective, my only concern was the that the staff didn't enforce the swim diapers rule. I was surprised to see so little ones running around in bulging, disposable diapers. It's very unsanitary, and like we experience at the pools we frequent, it'd be a good idea to make those with regular diapers get out of the pool and purchase a swim diaper, if available, at the front desk. 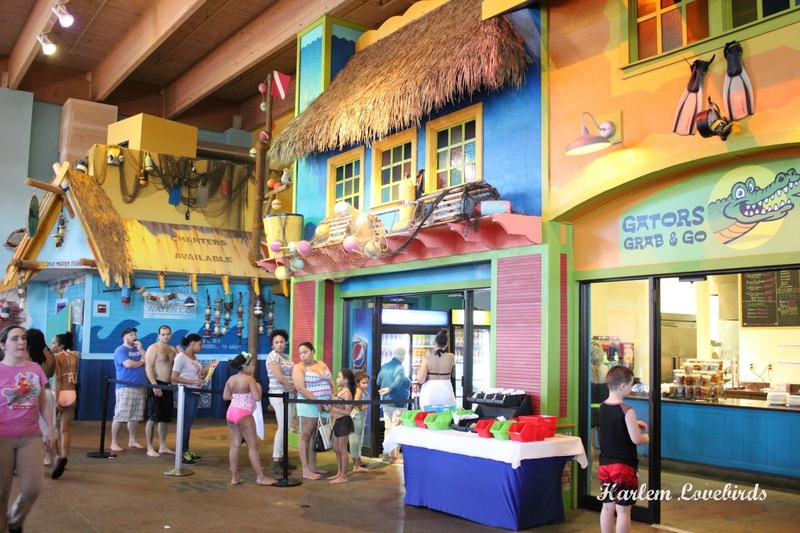 We ate a late lunch at Gators Grab & Go within the water park and the food available was typical amusement park fare: hot dogs, pizza, chicken fingers and fries. There were also salads and healthier options as well. We opted for chicken fingers and French fries and the portions were generous! I saw many families ordering whole pizzas, and if you're looking for dessert there's a kiosk for frozen treats too. Late afternoon the kids were a bit hungry after being in the water for nearly 5 hours and were thrilled when we received a special room service delivery right in the nick of time as we were heading out our door to get a little snack. They were nice enough to share with me and Uka too! For dinner and breakfast the following morning, we went out since there were so many options along the freeway. 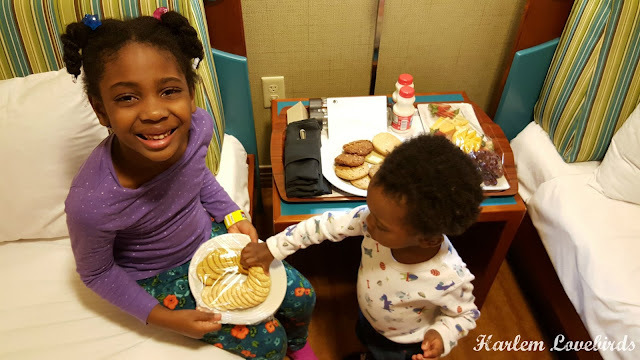 Regular room service is also available, but we were trying to be budget conscious and didn't splurge! The weekend we visited was also Daylight Savings Time, something I hadn't thought about when booking. The kids slept nearly 12 hours including the time change, and I'm so glad the night before I asked for an extended check-out anticipating this. The DoubleTree staff was accommodating giving us until 2p.m. instead of the usual 11a.m. 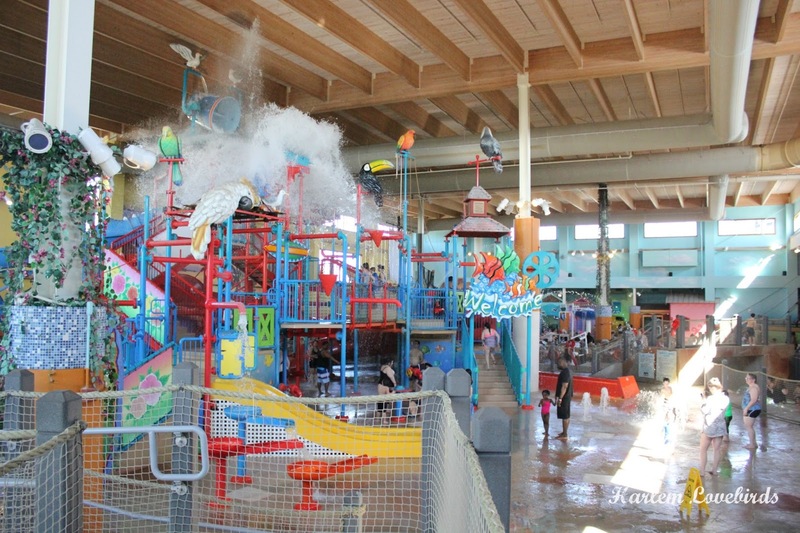 so the kids were able to eat a late breakfast and get an hour of water park time in before packing up to head home. Grayson was fine leaving the water park, but when we actually walked through the doors to head outside to the car he lost it (he even started crying when he saw me editing this blog post - I had to stop and play the videos for him several times). Apparently the little guy had an amazing time! We'll definitely be back and next time hope to make a larger family visit out of it with the kids' 6 little cousins on both sides of our family who are also in Massachusetts. We saw several families doing larger meet-ups and birthday parties while we were there including renting out private cabana rooms (great idea!). Nia's face captures how we felt about leaving CoCo Key! 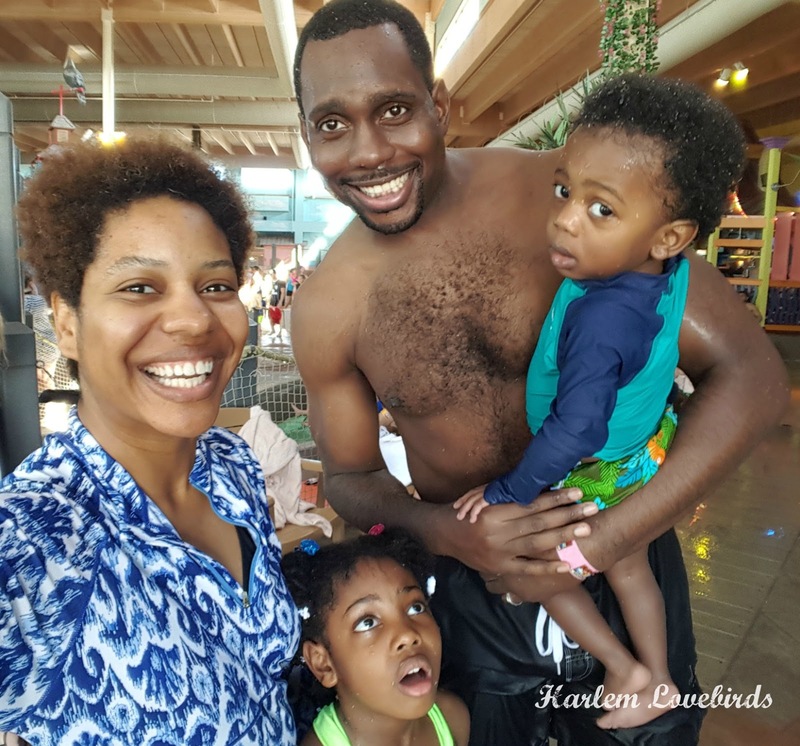 Thank you CoCo Key for making our family's experience a good one - we can't wait to return! If you're looking for something to do spring break CoCo Key Boston North Shore won't disappoint! Be sure to follow them on Facebook, Twitter, and sign up for their email newsletter for their latest news and promotions. 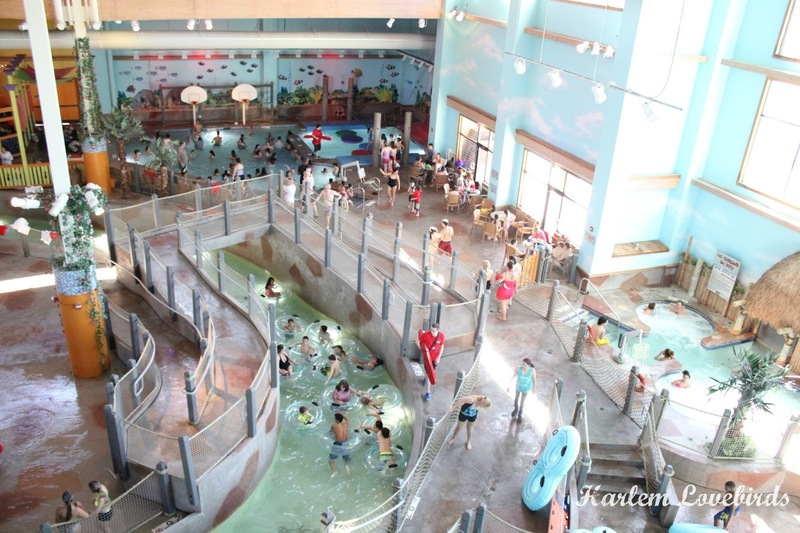 Have you ever been to an indoor water park? What was your experience like?